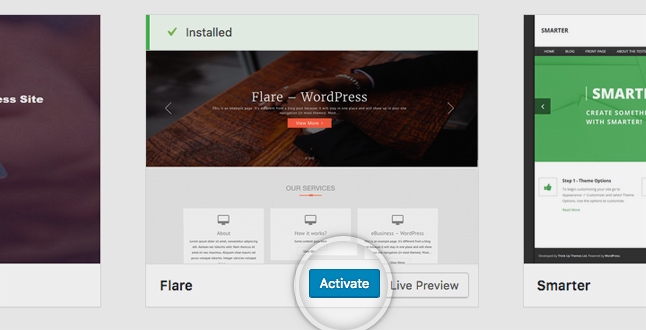 To install Wordpress with Softacolous App Installer, you must have cPanel first. To access your cpanel website, please visit yourdomain.com/cpanel url. 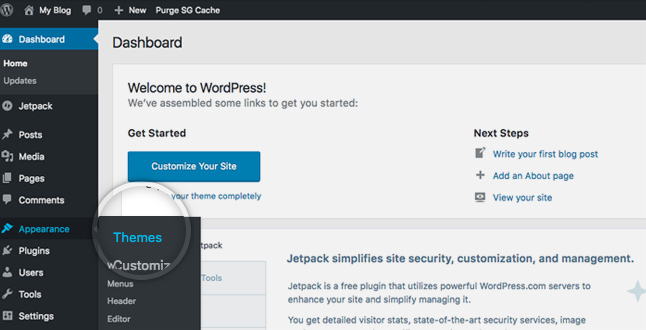 The first thing you need to do when you want to install a new WordPress theme is to login to your site admin page. Once there, go to Appearance -> Themes. 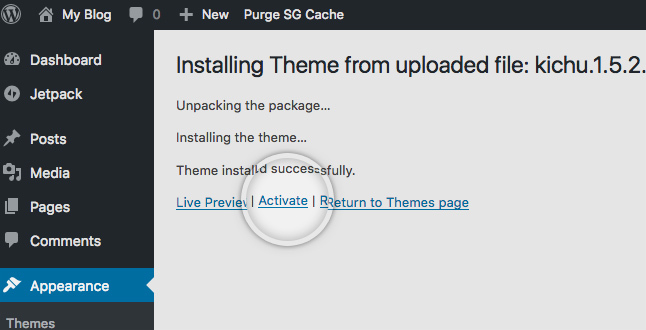 Here, you will see all the themes you have currently installed in your application. To add another one, simply click on the Add New button. On the next page there are two ways to add a new theme. 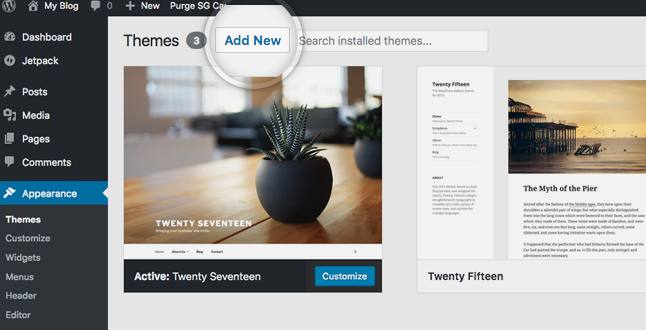 You can either use the search field which will return results from the WordPress.org theme directory or you can upload a theme from your local hard drive. However, knowing the tags for the desired theme is not always the case. This is why, you can use the Feature Filter. For example, you can search for a Two columns theme that has Flexible header. Simply check those tags and press the Apply Filters button. You will now see all themes that meet your search. 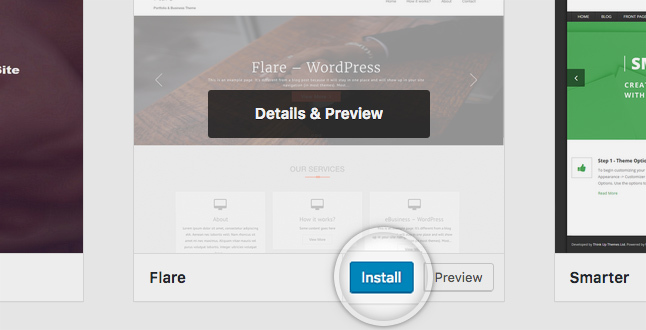 Hover over any of them and you will see two options - to see a demo of the theme or to install it. 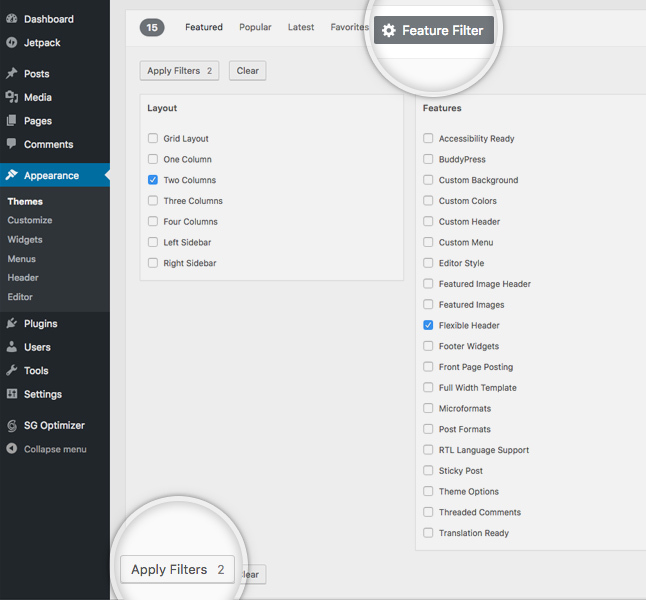 Once you choose which theme you want to use for your site, press the blue Install button. That's all - you can go to the front page of your site to see its new look. 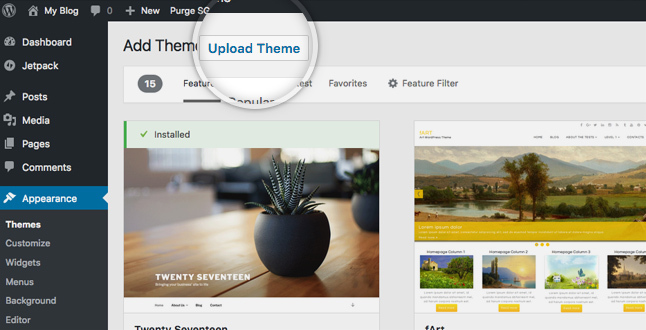 If you have a theme that's not listed in the WordPress.org directory, you can simply upload it from the Themes -> Install Themes section in WordPress. 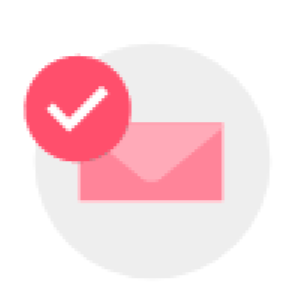 To do this click on the Upload Theme button at the top of the page. Now, click the Browse button, select the archive of your theme from your local computer and press the Install Now button.